Listed among the DNJournal.com top domain name sales of 2013 are 114.com for $2.1 million, 88888.com for $245,000 and 1001.com for $100,000. I would not have paid registration fees for any of these domain names, so I clearly don’t understand the value of domain names comprised only of numbers, usually referred to as numeric domain names. Luckily there’s an expert ready to share what’s behind those high sale prices and who’s buying 80 percent of the numeric domain names. Numeric domains are elusive to many investors, mainly because a single country is driving acquisitions. Who is doing it and how much are they worth? Stay tuned. It might surprise you. Listed on the DNJournal.com Top Domain Sales of 2013 are 114.com for 2.1 million, 88888.com for 245 thousand dollars, and 1001.com for 100 thousand dollars. I would not have paid registration fee for any of these domains, so I am clearly not understanding the value of domain names with numbers, also called numeric domain names. So, I have brought on an expert to help us all understand them better. Joining us today is Giuseppe Graziano, Director of Business Development in Europe at Domain Holdings. Giuseppe, welcome to the show. Giuseppe Graziano: Thank you, Mike. Michael: First of all, which country would you say is driving the cost of numeric domain names so high? Giuseppe: Well, I mean this is a pretty easy question. It is actually China. I would say in the numeric domain market, right now at least about 80% of the players are actually in China, and also the value is very tied to their culture. Michael: Yeah. Okay, so 80% are coming from China. Would you say the remaining 20% of buyers are domain investors in the United States or North America, or is it just scattered around the world from there? Giuseppe: I would say that that is correct. 20%. I mean most of domain investors are located in the United States, but there are some domain investors also in the UK. We have one client there and in some other places. Michael: Okay. And so, why does the Chinese culture value numeric domain names so highly? Giuseppe: Okay, this is a great question. For most Chinese people the alphabet is something they learn only at a later stage in their lives, so they are not really familiar with that. So, for example, if I would tell you to spell ’email’ and spell to a Chinese, for them it would not mean much. And it is much easier for them actually to type in numbers rather than type in pinyin, which is the phonetic version of the word. So, that is why. And also, the other thing is that each number sounds like a specific meaning. So, for example, five in Chinese is ‘Wu’. So, it is similar to ‘Wǒ’, which means I. So, basically, if you combine a combination of numbers, they have a specific meaning for them that is different. Combine, for example, 51 – in Chinese it would be ‘WuYī’, which means ‘I want’, and they will (Unclear 6:07.1) site. So, when all these things are combined, they make sense, so for them it is much, much easier just to type numbers rather than go there and type this pinyin, which is longer. Michael: Got it. So, the numbers have a meaning associated with them that often tie to words, and they can tie numbers together to sort of make words in some cases. And are numbers numbers, like do the Chinese characters for numbers equate to the same numbers in Latin characters, or do they just understand numbers better? Giuseppe: No, they just understand numbers better. So, there is actually a phonetic version also for numbers, but there are even some ideograms for numbers in Chinese. But Arabic numbers, like the numbers that we use, are much more common for them. Michael: Great. And so, we were talking just before the show that you spent a few years in China, living there. Michael: Did you realize that domain names and especially numeric domain names were so important to the Chinese nation then that you do now? Giuseppe: Well, what I was surprised by there is just the most popular websites are basically either based on numbers, like for example one of the most common email providers is 163.com, and also the YouTube of China is called the Youku and it is like a pinyin version. Basically, most of the websites, even if go on the Alexa rank, you can actually find out – I would say – there are actually ten to twenty numeric domains and the traffic comes mostly from China, like China-based websites. Michael: So, ten to twenty percent of the top Alexa-ranked websites are numeric domains? Giuseppe: So, I think about ten percent. Michael: Wow. All right, whereas in the US it is, I think, zero percent. I do not think there are any numeric domains operated in the United States. Giuseppe: Yeah, I would say so. Michael: So, let me ask you this, Giuseppe. I named some domain names at the top of the show. 114.com for 2.1 million. 88888.com for 245 thousand. 1001.com for 100 thousand dollars. My question is: are those exceptions to the rule? We always hear about great domain names selling every day for unreasonably high numbers or it seems like a lottery ticket. Are those lottery tickets or are numeric domains selling every day? NumberNumber.com, NumberNumberNumber.com, and even up to five numbers like 88888.com. Do those sell on a regular basis? Giuseppe: I would say, for example, for what concerns five-number .COMs, that is really an exception. 88888.com was a name from Frank Schilling. I would say yeah, that is totally an exception. It is something that we do not see that many sales of – five numbers .COM. But for what concerns four-number .COMs or three-number .COMs, they are much more common. Also, three-number .COMs. We have also seen, at Domain Holdings, quite a few sales. I mean what you see on Domain Journal of course are only the disclosed transactions, but there is very healthy movement of transactions for what concern numeric domains. Michael: Great. So, when people are buying two and three-letter domain names, which a lot of investors do – they look at two-letter domain names as sort of the pinnacle and three letters are a secure investment, but investors will advise you to stay away from the less frequently used characters, like Z, X, Q, and J because they are just lower frequency and makes the domain name less desirable to potential acquirers and, therefore, less valuable. Are there certain numbers that investors should stay away from when looking to purchase numeric domain names? Giuseppe: Yeah, that is a good point and I think you gave a great tip also for domain investors for concerned letters, like staying away from premium letters. If you make your own word, you know where they are, and I will just stay away from it. And it is exactly the same for numeric domains. I would say there are a few rules that you can pretty much follow and to actually give an idea about what the value of numeric domain names. So, one of the numbers, like two, you obviously stay away from is the four. Four is like one of the worst numbers in Asia. It takes bad luck. Chinese and Asia in general, so it is really big in Korea and Japan. They are very wary of this number because, basically, it sounds like death. Giuseppe: Four in Chinese is ‘Sì’, which means death. So, it really goes to an obsession where even if you go in buildings, four is not there. They actually skip the four. Michael: So it is like the number thirteen in the United States. A lot of big hotels – tall hotels – will take out the floor thirteen, so it is like that. It is unlucky. Giuseppe: That is correct. Actually, it goes farther than that. Even in (Unclear 12:19.2) National Building in Hong Kong, they take fourteen. Every number that contains a four they actually take out. So, translating the meaning into value, you can certainly see. If you do your own research about the value of numeric domains, you see that even four, if it is present in the number, actually makes the domain drop in value up to 50%. Michael: Got you. So, are there any other numbers besides four that are unlucky for Chinese people? Giuseppe: Not really. I mean the four is really the main unlucky number. The five can also be considered a negative sometimes, but there is also some other meanings for five, so it really depends on the context, because five means negative, but it also means I. So, that is why (Unclear 13:22.3) it is unlucky. But as advice for domain investors, just stay away from four because that just decreases the value of the domain a lot. Michael: Okay. So, are all the remaining numbers good or are there certain numbers that are better than others? Giuseppe: That is a great point, and I think most of the people are aware that eight is a very lucky number in Asia, because it is actually means prosper or wealth. So, the more eights actually in numeric domains, the more the value of the domain increases. And then there are some other numbers, which might be considered your less lucky. For example, zero is a pretty good number if it is at the end of the domain. Three is a good number because the sound is also (Unclear 14:22.7), which means to rise, like to be born. Six is a pretty good number in business. Nine is a good number. Seven is a decent number. So, these are pretty much what you need to be aware of, but as a general rule, just stay away from four. The more the better, and then there are a few other rules that concern numbers. Michael: So, is four only associated with death in China? Do you know if the Japanese culture or other Asian cultures feel the same way about four? Is it widespread across Asia? Giuseppe: Yeah, four actually brings bad luck also in Japan and Korea. Giuseppe: So it is the same. Also, in Japan, they skip the four, and Korea as well, so it is actually a Pan-Asian thing. Michael: Okay. All right. And so, all of the lucky numbers, like the seven or the zero or the eight, that is a Pan-Asian as well. It goes across all the Asian countries. Giuseppe: Actually, I am not aware of that. I can tell you eight is pretty much favorable around Asia. I know the meaning of the numbers in China, but for the rest I do not really know, but four is pretty much Pan-Asian. Michael: All right. So, when discussing pricing of numeric domain names, you have publicized this concept of a floor price. How do you define what a floor price is? Giuseppe: So, a floor price is pretty much the lowest. It is the most liquid price on the market. Let’s say if you wanted to sell a domain tomorrow and said, “Okay, I need the money. I need the cash right away,” you go to a marketplace or you come to us to domain brokers and say, “Okay, I want to sell this name.” And I can tell you: “Okay, the floor price for this type of domain is this,” and that is the price that you can pretty much expect to resell it right away and there would be plenty of (Unclear 16:35.8) from buyers that they would be waiting to buy your domain. Michael: Okay, so most investors, I think, understand the concept of a retail price going to end users that want to buy it and use it for their business or they must have the domain. And then there are investors who will buy it wholesale prices or maybe some price between – something that they can sell for a multiple and make money up to retail, depending on how much they like it. And what you are saying is that there is a floor price and that is the lowest price that is fair, but also can immediately liquidate the domain or within a few weeks can find a buyer for that domain at that price, and that is called the floor price. Michael: Okay. So, what would you say are the floor prices for two-number .COMs, three-number .COMs, and four-number .COMs? Michael: Sure, who wouldn’t, right? Because you can turn around and make two to three or four times as a floor price. Yeah. Giuseppe: Yeah, that is a great point. I mean if he is doing it and he is a successful domain investor, then it is probably a good tool for you too to use. But pretty much one to two thousand is the floor price for a four-number .COM. And going over to three-number .COMs, like in a year the four come back into play. I would say three numbers that contain a four, the very floor price is ten, but more like fifteen thousand. Ten to fifteen thousand is really like the minimum you can expect to get on the market. Then, if you take away the four, I would say more into 25 to 30. That is probably a good floor price for a three-number .COM that does not have a four. Michael: And then what about two numbers? Giuseppe: Two-number .COMs – I mean we would say it is probably around the hundred thousand range. Michael: Wow. So that is right around what a two-letter. Well, actually, a two-letter can go anywhere from 100K, 400K, 500K, probably up to one million. That is retail, so you are saying the floor price for a two-number is 100K. What if it is like 14? Giuseppe: Yes. Yes, absolutely. And actually, this is what we sort of can see. If you check the Domain Name Journal, you will see some transactions around the 100K range for two-number .COMs, but what we have seen lately is actually the floor price is much, much closer to 200K. Michael: So, if I had 83.com, for example, the floor price for that might be at 200K? Giuseppe: Yeah. I mean if you come to us, we would probably be able to move the asset in the 200K-range within (Unclear 20:18.7). Michael: Wow. That is the floor price, below a wholesale. So you are saying there is a Chinese buyer out there that will probably pay 400, 500, or 600 thousand for that. Giuseppe: Sorry, can you repeat the question? Michael: So, if that is the floor price for, say, 83.com – and I just made up the numbers -, you are saying the floor price is around 200 thousand dollars. Michael: So that means you could probably go out and find a buyer within a few months that might pay 400, 500, or 600 thousand for it? Giuseppe: Yes. Yes. 300 or 400, yeah. Michael: All right, so we have got some floor prices. Now, 114.com is a three-number. You are saying if it contains a four, the floor price is ten thousand or fifteen thousand, but on DN Journal that one was a sale this year, in 2013, for 2.1 million. Now, why is that one an exception to your rule here? Giuseppe: First off, I think the buyer for that transaction was an end user. I mean we are talking about floor prices here, which is like the price where a wholesaler would pay. When you go into the retail market, then of course it is much different. And then we also need to understand that basically each number, in China, has a specific meaning. So, 114, I think, is associated with information services. I think it is more like 411, like in the States. So that is the biggest reason why it went for so much. Michael: Got you. So there was a special association with that in China, and so that drove up the price. So there are exceptions. You cannot just look at the numbers and say five is negative sometimes, do not put a four in it, and there are exceptions to even the rules that we are discussing today. Giuseppe: Yeah, that is correct. I mean there is that (Unclear 22:22.6) science of it that some numbers actually decrease or increase the value, but then there is also the cultural part of it. Some numbers, if you put them together, might have a specific meaning and that actually can increase or decrease the value accordingly. Michael: Yeah, okay. So, let me give you another example. I think 55.com sold for 2.3 million, and I believe that was this year. Is that right, Giuseppe? Giuseppe: I think it was in 2011. Michael: 2011. So, if that one sold in 2011 for 2.3 million, why didn’t the recent sale on December 11, 2013 of 5.co.uk sell for more than 67, 611 on NameJet.com? What can we say about – if 55.com is 2.3 million worth, 5.co.uk is only worth 67 thousand? Giuseppe: Yeah, I mean I think this all comes back to the extension, just because .COM is an extension you can brand globally. .CO.UK is something that you can brand only in the UK. And basically, besides for use in the UK, it does not hold that much value, unless for domain investors. So, this is probably the reason why. Michael: So, any extension besides .COM, which is globally accepted as a commercial enterprise around the world, is going to limit the pool of potential users, so then it decreases the value is what you are saying. Giuseppe: You are totally correct. Michael: Okay, so let me ask you this then. As long as we are talking about alternative extensions to the .COM, if Chinese buyers are paying so much money for numeric .COMs, why wouldn’t .CN domain names be worth even more than the .COMs? I do not actually see too many numeric .CNs changing hands. Giuseppe: There is actually a pretty big market for .CN. I mean we do not see them much just because we are located in a different part of the world, but even if you think about what is the biggest marketplace in China for domains, actually it is called 4.cn. And if you go there, it is pretty interesting because you can see quite a few. And actually, 4.cn is great to understand more about the floor prices, like what the market is currently (Unclear 24:58.6) for, like different types of assets, because if you go there, there are a bunch of domains that are numeric domains that at least have a buy now price and you can really start to look into it and see at what price level are people selling or what price level are people buying on the auctions and everything. So, I think that is a useful tool for domain investors to understand better, like (Unclear 25:24.7) moment of the market for numeric domains. Michael: Yeah. And I hate to admit it, but I am probably one of these ugly Americans that does not speak any other languages besides English, and even I do not do that very well. So, if I went to 4.cn, isn’t it all going to be in Chinese and in a currency that I do not understand or do they translate it into English as well? Giuseppe: No, actually the website is also in English. For the currency, I think you just need to make some basic changes. Just Google it. You just convert it. Michael: Okay, I need to get over to 4.cn and check out what is selling and for how much. And so, that is the largest marketplace. It is like a Sedo or a GoDaddy or something like Afternic-like in China. Michael: Okay. And so, I notice the domain name is 4.cn. That means death in China, does it not? Giuseppe: Yeah. I do not know. I cannot say anything about that. Maybe it was the cheapest domain that they found and wanted to use it. I do not know. Michael: All right. I think that some of the Chinese investors might be put off by that. A little superstitious, but I guess not. Giuseppe: I guess they are more interested in the investment. Michael: All right. So, Chinese domain names do sell. I can go onto 4.cn and see them selling there. Do you see just as many .CNs selling as .COMs? Giuseppe: I mean we usually do not manage transactions for .CN. It is something that we still do not do. But yeah, if you go onto the marketplace, the prices for .CN and also for some other extensions, I would say that is pretty much your (Unclear 27:15.5) marketplace for what comes there, like numeric domains, no matter the extension. So, you can also check the prices for .CN or numbers .CN and see where the market is at. Michael: Okay. What is the next most valuable extensions after .COM? If we look at the pool of investors of people who want numeric domain names and let’s pick a great domain like 88.com and we assign a value on that, what if it were 88.co or 88.net or 88.org or 88.info or 88.biz? Do any of those have any value or do most of the Chinese investors stay away from everything but .COM? Giuseppe: That is a great question. I would say, besides for country code extensions in the specific country, the extension that is also the most value after .COM is definitely .NET. Also for domain investors, again, the sales transactions that we see that is probably the second best extension. And it is also good for domain investors, because .ORG – the range of the users you can sell to is pretty much limited just because of the meaning of the extension. Michael: And if I was selling a Domain.com and let’s say it had 100 thousand dollar value, the .NET might have anywhere from two to ten thousand. It is two percent, five percent, maybe if it is a great short word, it has ten percent or twenty percent. Do we see the same sorts of relative values between numeric .COMs and numeric .NETs as we do for words? Giuseppe: I would say the value of a numeric domain .NET is probably compared to a .COM. It is something around five to ten percent. Michael: Okay. And so, besides having domains that are shorter – two numbers versus five numbers – and staying away from the numeral four, what other valuation rules should investors be aware of? Giuseppe: Okay. There are quite a few. Actually, a few weeks ago I wrote this blog post about (Unclear 29:54.7), and I think I came out with eighteen rules for domain investors for numeric domains. And I mean there is the obvious one, which is the shorter, the better. So, of course any two-number .COM is worth more than a three-number .COM. Stay away from fours – we already said before. The more eights the better. Then one rule that people might not be aware of is that if there is a zero at the end, it actually increases the value. So, for example, 80.com is probably more valuable than 82.com just because the zero is there. And also, the more zeros the better. So, let’s say if we are talking about a three-number .COM, probably 800 is better than 802 or 852. That is one of the silent rules. Another rule that domain investors are probably aware of, but for the rest of the audience: any number starting with zero actually decreases the value. So, if we are talking, for example, instead 852.com, we have 085.com, actually 852 is more valuable than 085 just because the zero is in front. So, it is actually interesting because it is the reverse. If zero is in the end, the domain is worth more and if the zero is in the beginning, the domain is worth less. Then numbers in sequence are actually pretty valuable. So, it is actually interesting. I was speaking with just Michael Berkens yesterday, because there is the domain 345.com, so I think there are only seven consecutive sequence domains and he was telling me, and it was also in his blog post, he turned down offers up to 350 and 360 thousand for a three-number .COM, which is quite impressive. And that tells you why the sequence is important. (Unclear 32:14.2) would be (Unclear 32:17.9) pairs actually are considered lucky. So, whenever there is a domain like, for example, a four-number .COM, like 2233.com, that is pretty valuable. I have seen pretty big offers on these types of domains that usually does not happen for regular number .COMs, so that would be another rule. Michael: Okay. Let me ask you this. I know that a lot of domain investors like to wait for the economy to bottom out so they can buy. Not that anyone wants the bottom of an economic cycle, but in 2000 and then again in 2007/8, when the economic markets bottomed, I think a lot of smart investors were buying then, because people needed money, so they were selling premium domain names. Smart investors got in and bought premium domain names at those times. I am not sure if you are aware, but do numeric domains follow the same economic path, where they decrease when the economies are depressed, or is it only a factor of the Chinese market that affects the pricing of numerics? Giuseppe: I think this is a great question. So, let’s see. Yes, that is a great point. The value of numeric domains usually is tied to the economy. And for what concerns numeric domains, I think it is very much tied to the economy in China. So, actually, the thing is what we have, for example, in Europe, we also had the recession and the economy stops completely. In China, it never stops growing. Even if it slows down, it grows like at five percent, but that actually has an influence on the market. For example, in the last couple of years, at one point the economy was slowing down in China and we had seen a slight decrease in the value of the transactions. Now we see that it is picking up again and floor prices are rising up and there are much more people actually looking to invest and the value, therefore, is higher. Michael: Can you give me an idea of who is buying these domain names in China? Are they business people at large corporations? Is it a wealthy middle class? If the numeric domains are so hot in China right now, who is buying them? What do those people look like? Giuseppe: I would say most of my clients in China are people that have some software development company and they are pretty smart about investing. They are basically (Unclear 35:55.8) investors. They know a lot about the market. They know exactly where the market is at and when they come to us they are pretty clear about what their objectives are and what they are looking for in the market. Michael: Okay, so professionals. Educated. Successful. Maybe entrepreneurs or business people, and they are looking to invest in numeric domain names and probably they invest in other things as well. Giuseppe: Yeah, and usually also the profile is they will travel. Usually they speak English. That pretty much completes the profile. Also, probably living in the biggest cities – Shanghai, Schengen, Hong Kong. Michael: Yeah. So, you mentioned 4.cn as the biggest marketplace for buying and selling numeric domain names. Are there other marketplaces that you see a lot of transactions happening? Do people find a deal every once in a while on eBay.com still or through other marketplaces? What has been your experience? Giuseppe: I would say, for the vast majority of them, 4.cn is the biggest. For what concern the others, there are a few, like Sedo. There is (Unclear 36:58.1) – an auction site. There is a bunch, but it is never really relevant. I think even Michael Berkens started the numeric domains .COM and he likes to sell them in Beijing (Unclear 37:15.3). So, there is quite a few outlets, but the main one is really 4.cn. Michael: Okay. And I mentioned that you were Business Development in Europe. You serve China and Pan-Asia as well. A lot of domain name investors are somewhat reticent to contact brokers to sell their domain names because a lot of the brokers I have interviews do not necessarily want to spend their time on domain names that are not worth at least a solid five figures – 50 thousand dollars and above. Most will not spend time on it unless it is worth 100 thousand dollars. If people are looking to buy or sell numeric domain names, Giuseppe, do you handle two-number, three-number, four-number, and five-number? Do you handle the whole range? Can people contact you to discuss buying or selling those? Giuseppe: Yeah, I think we handle the whole range up to four-number .COMs. Probably five numbers we are still not interested, but actually last week there was a client who emailed me and was like: “I would like this five-number .COM. What am I supposed to do? Should I drop them? Should I keep them for a couple more years?” I would say keep them for a couple more years. It is not very expensive to hold them and they are just being registered all over again. Michael: So if I have got twelve fours in a row .COM, hold it or drop it? Giuseppe: Twelve fours. I do not know. Michael: But basically you do not want people to contact you if there are more than five numbers, right? Six numbers and longer you are probably not going to have much value to those. Giuseppe: Yeah, I cannot probably add that much value. I am not saying they are never going to hold value in the future, but that is something that we do not focus on at the moment. Michael: Yeah, okay, that sounds good. And if people are watching this show, Giuseppe, and they want to contact you in order to discuss their numeric domain names or they want to start buying a portfolio or buying single domains from Domain Holdings, what is the best way that they can contact you? Giuseppe: They can surely do it via email at Giuseppe@DomainHoldings.com. They can also contact me at my phone number from the US, which is 561-819-8468. Michael: Excellent. And where are we conducting this interview? Where are you right now? Giuseppe: Actually, we are in the office. Giuseppe: Lisbon, which is the city I love. It is an amazing city and I will recommend everybody that want to visit Europe to just come over and see this because it is just beautiful. Michael: Excellent. And it is coming up on two ‘o clock my time, in Seattle. It is late for you. I appreciate you staying late after the work day in order to conduct this interview. If anybody watching has additional questions about numeric domain names that I did not ask and you would like Giuseppe to answer, please post them in the comments below so that I can ask Giuseppe to come back and answer them so that other people can see the questions and the answers also. If you are too shy, of course you can email at the email address that Giuseppe provided. If you have a moment, I recommend you post a comment. Even if you do not have a question, just say thank you. Giuseppe took time out of his schedule to come on here, share his knowledge, and I am grateful for that and I hope that you are too and you take the time to post a quick thanks. 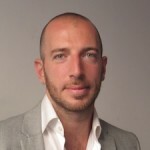 Giuseppe Graziano, Director of Business Development in Europe at Domain Holdings. Thank you for coming on the Domain Sherpa Show, sharing your knowledge of numeric domain names, and thanks for being a Domain Sherpa. Giuseppe: It was my pleasure, Mike. Michael: Thank you. We’ll see you all next time. You mentioned that .com and .net most valuable domains cause it is global and not limited to area like e.g .co.uk What about the new .global domains? Or what about e.g if extension is very relevant to what you are selling e.g if it is a renowned jewelry store with .jewelry as extension? Or what about numbers with .global? Will really appreciate answers in regards to the value of such. Domain numbers is popular among Chinese, they are really believe numbers can give a luck, example 168 is great but 4 mean death in Chinese, this is the reason mostly hotel doesn’t have 4 floor, and a product name include 4 are skipped. Not only a domain name but everything contains “lucky” number is very popular, in my country people will buy a phone number $5000. As a comparison a standard phone number here are just 20-50 cent or $0.2-$0.5. They’re believe by using a phone number that contains a lucky number combo will boost their business, well my logic is anyone who buy a $5000 phone number are already success, not ordinary people. It sounds stupid for me, because I don’t trust it, but a lot of “old” people still believe it. Thanks for the video. I’d like to ask Giuseppe what he thinks about .TV 3 number domain names? is there a market for 3 number domains with .TV extensions? Fascinating interview topic!!! Thanks for enlightening us Giuseppe. I feel I know so little about the Chinese culture and now I have gained excellent insight. As ALWAYS, great stuff here at Domain Sherpa! Giuseppe Thanks you for your time. I do have one question. Is a word with a number inside the word have any value? My pleasure Sherry. To your question, it typically does not hold any special value. Thank you Michael and Giuseppe for this great show about numeric domains. I think there is one more rule that is not mentioned for the value of numbers in Asia, twin or the same numbers is better, like 77, 88 or 8888, 6699, is that correct? Yes Surya, you are absolutely correct. Pairs are considered lucky and therefore more valuable. 77.com or 6699.com have a much greater value than an average unpaired domain. Thank you for bringing that up! Absolutely fascinating interview, in fact, Giuseppe has posted a superb blog on Chinese Numeric domains, which is a must…. Geez what an interesting interview thank you Michael! One thing not mentioned here is that .cc domains are actually gaining popularity in China… I believe equal to or more than .net and .org. Great interview. That interview should save me answering hundreds of emails over the next few years. I’ll just refer them here. As for my offers mentioned. I have to point out that the prices were much less when I was buying them. I could buy NNNN.coms with 4s in them quite easily at $500…..and did. A good one was $1000 to $1500. Now they are triple and quadruple that. I was ahead of my time in buying…….and unfortunately selling as well. I doubt you were selling to the Chinese market ole boy! ;) But at least you made profit, that’s the main task. Being a collector/dealer of Chinese porcelain, I’ve had an interest in numerology/symbolism for years, shame I never made an integral part of domaining. Shucks! Sold 90% to Chinese. Made 4X on my money but could have made 10X if I waited a year. Thanks Michael and Giuseppe for this interview. Lot of things to learn and always wanted to know more about numeric domains and this is definitely must read for any one interested in numeric names. I need to ask a question and would appreciate if answered. How about numeric domains with hyphens? How much value those have in Chinese market? Let’s take an example of 66-66.com as compare to 6666.com or 99-99.com and 9999.com? Hi Abdul and sorry for getting back to you so late. In my experience hyphenated domains are not as traded on the aftermarket as the other categories, therefore their valuation is not very clear. Probably an amount in the 3 digits or 4 digits would be appropriate, depending on the numbers. Thanks Giuseppe for your response. I appreciate that. Thanks for all the interviews you do, i find myself listening to them at least 2 times. I look forward to Thursdays, its the first thing i do before i start my day is to watch your show. Lisbon City, what else? I met Giuseppe here (Lisbon) and he is really great. Regarding the interview, it is great to have a video tutorial about the subject, after quite a few written articles spread over the web. He knows what he is talking about. Shameless advertising: NumericDomain.com is for sale! Really interesting piece, thanks both. Michael, excellent interview with Giuseppe Graziano. I wasn’t aware of the market for numerical sites. Very interesting. Thank you for posting. Funny that. 4 is the unlucky number, and yet 4.cn is the place to go for domains in China.